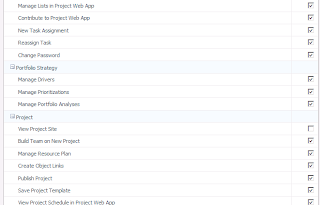 I wanted to review navigation between PWA and project details for sharepoint task list projects in Project Online. When originally user clicks on Project in Project Center, user get to project details. 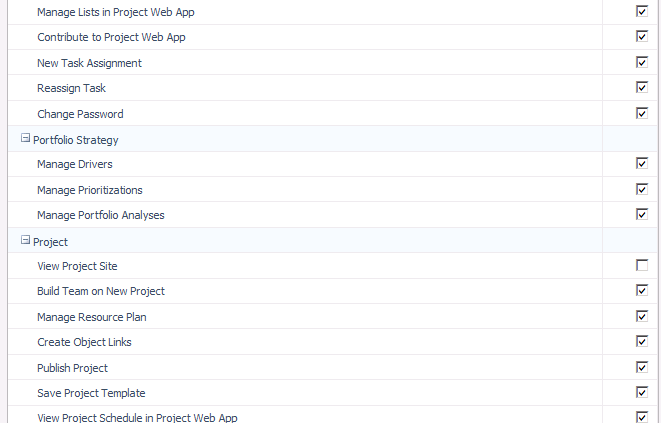 That will refresh screen and navigation and you will see the link to "Projects" available (highlighted). If you know faster way - please let me know. Thanks! Our organization is implementing a pilot environment of Project Online for one organization that is looking to move their in-house 2010 to the cloud, and right now I'm researching the Project Online for how we can use reporting capabilities. It looks really only option that is "out-of-the-box" is OData. Accordingly to the document - only Adminstrator, Portfolio Manager and Portfolio Viewer can access OData feed. Project Managers cannot access data. 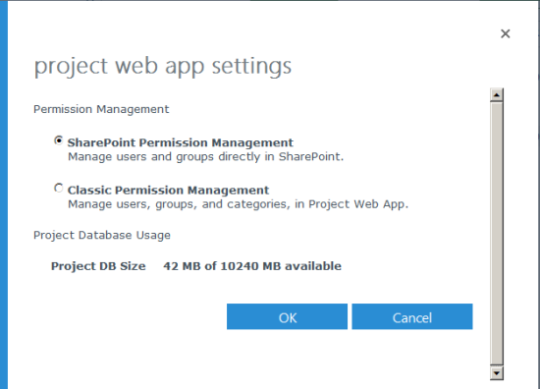 This slightly limits use of reporting on PWA for single project - Project Manager will have to use reporting capabilities in Project Professional 2013. This is a huge. People need to be able to create and view report on their data from PWA. We were playing with Excel Services to see how we can build reports and publish them to the web - same way as we did in 2010. Unfortunately it looks it is not possible now - and it seems this is a limitation of Project Online Preview. 2. When report is created and saved, you can open it in PWA. It opens absolutely fine - but it displays information that WAS already in Excel. 3. 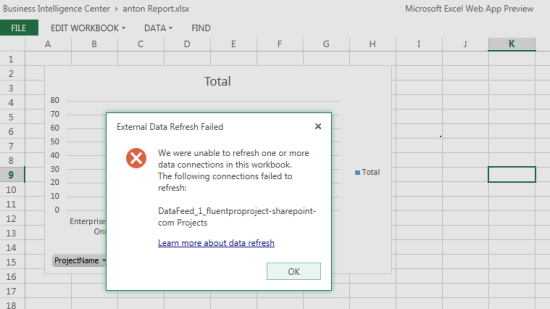 To refresh data, you need to edit it again in Excel 2013 by clicking on Edit Workbook and selecting Edit in Excel - go to DATA Tab and click on Refresh All. Data will be refreshed, you can save it back to PWA. 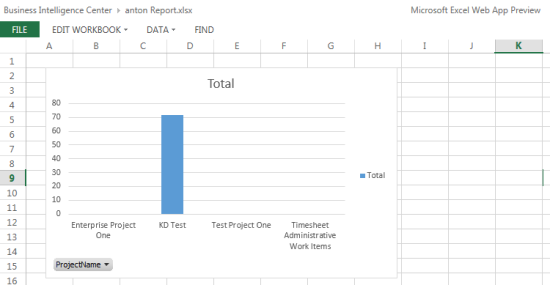 I hope that at time of RTM, excel services reports in Project Online will be able to update data dynamically. 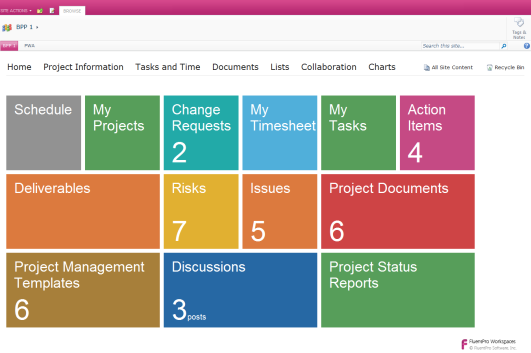 "In Project Online, Project Web App data for reporting is only available through the OData feed. The OData feed must be accessed through Excel 2013 Preview. 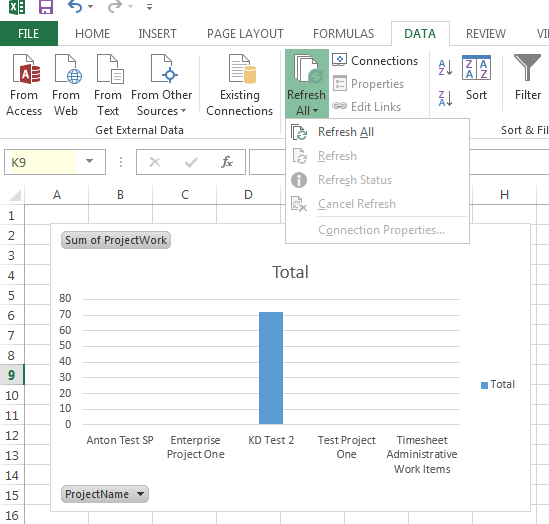 OData reports can be published to the Business Intelligence Center and displayed using Excel Services, but the data cannot be refreshed using Excel Services"
There are few changes that are related how users access Project Sites in Project 2013 compared to Project Server 2010. Before, in Project Center on a ribbon there was a button - Project Site. User was able by selecting a line in a list of project click on it and you will get the new window with project site open. In Project Online this button is gone from ribbon from Project Center. But - you still can access the Project Sites - and I would say that this was made even easier. First one is button on Ribbon and second one is link "Project Site" on the left side of navigation menu. As you know, by default Project Server 2013 has the SharePoint permission mode which is simplified if we compare it with Project Server mode. Some users, might benefit from it, some more advanced users might want to switch back to Project Server mode. Replace http://projectserver2013/pwa with you PWA URL and fluentpro\sp-farmadmin with your domain name \ user name. Why there is no switch in UI like in Project Online? I have no idea - but this would be a good suggestion to Microsoft to add this into Central Administration in PWA settings. As you might know, by default Project Online has the SharePoint mode which is simplified if we compare it with Project Server mode. Some users, might benefit from it, some more advanced users might want to switch to Project Server mode. So, how do you switch from SharePoint security mode to Project Server security mode? Click on Project Web App button on ribbon and select Settings. Important: Please note that changing modes clears all previous settings. 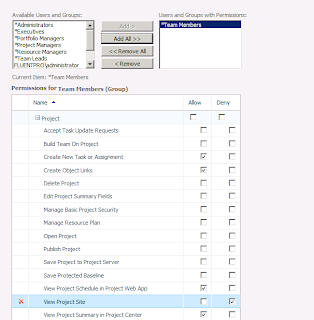 You can read more about SharePoint permission mode here: Plan SharePoint groups in Project Server 2013. You can read more about Project Server permission mode here: Plan groups, categories, and RBS in Project Server 2013 Preview. Best way to evaluate Project Server 2013 / Project Online? Move you configuration and data from Project Server 2010! This week Microsoft released the Project Online - a cloud edition of Microsoft Project Server 2013. This means, that companies can start evaluating online edition that offers ways for easy scaling and start saving on investments into hardware and software. You can start paying monthly for resource that you use only, no maintenance, no hardware, no software licenses, no electricity bills. Some of this can be addressed with just out-of-the box functionality, but companies will face a reasonable issue - How do we test Project Online with our configuration settings and with our data (projects, resources) from existing Project Server 2010 or Project Server 2010 instance? FluentPro Software has a solution for this - FluentPro Cloud Migrator that allows migration of configuration and data from Project Server 2010 to Project Online. There are 2 editions available - Free and Pro; Free Edition migrates everything except project sites content and security, Pro Edition can migrate all settings and data and you can use it after Preview. You can download FuentPro Cloud Migrator from our website - www.projectmigrator.com. Over last several month our company was involved in development of SharePoint App for Project Online for one of the partners. Development is completed and shortly application will be published - but it was a tough journey. If you are interested in development of SharePoint App for Project Server 2013 / Project Online - please feel free to contact us, we believe that we can help you - we've completed all steps, we know problems, constraints and can make this development successful. Great news - Microsoft released preview versions of Microsoft Project Server 2013 and Project Online - Cloud-bases edition of Microsoft Project Server 2013. We working hard on moving rest of our products to Project Server 2013 platform and developing several new exciting applications for Project Server 2010 and Project Server 2013 / Online. Our team was working very hard on new features for one of our major products - FluentPro FluentBooks V.2.5. We've added bulk edit for resources in MS Excel with ability to assign a security group membership to user - imagine when you have new customer without AD and they gave you list of 500 users asking to import them. Now this is extremely easy. Migration of Project Sites - template, risks, issues and all documents libraries. Migration of settings for task and time tracking, periods and all related settings. Migration of Resource Plans and Project Team. Software stabilization, bug fixing and testing on multiple configurations from our customers / performance optimization. Updates for software will be available in July. All current customers will receive update automatically. P.S. Same time with V.2.5 release we plan to release new editions of FluentBooks for configuration and data migration. In our product, FluentBooks we support functionality to generate configuration documentation in Project Server 2010. We continue working on improving the output and recently released version with more advanced documenting functionality. It is great feature for consultants to deliver a configuration documentation and it is generated in seconds instead of hours and days of work. Thank you Project Conference 2012 attendees who visited our booth and my session. several visitors said about Project Workspaces that it is "ahead of time"
Project Team - special thank you for great conference, speakers, exhibitors and incredible assistance with all preparations. Wednesday, I will presenting on Microsoft Project Conference 2012 about configuration management in Project Server 2010 and how it can be improved and optimized with our product - FluentBooks. I would be glad to see you there! Tired of grey, static and not-visually appealing project sites? Don't like that information is in many places and I have to switch to see it? We are tired of them too. So - we've developed a product for our customers that in its nature is a modified project site template that will change your experience with Project Sites in MS Project Server 2010. Easy customization and re-use - add your own lists, pages, sub-sites (Wiki, Blog and other) and standard / customer webparts without any restrictions, save as project site template and distribute inside of your organization for different project types - this is just a native Project Site Template. Visit our booth #209 at Project Conference 2012 and take a closer look on this amazing product. Product will be launched at Project Conference 2012 and will be available for purchase. EPM partners: Have your own products and would like to incorporate this product into your solutions? Let's talk. Metro-style Windows 8 Project Site template for Project Server 2010 with intuitive and embedded access to all PWA functionality from one location. Come visit our booth #209 to learn more about FluentPro's products and check demonstrations. I will be presenting on Project Conference 2012 with a session about Configuration Management in Microsoft Project Server 2010. By visiting my session, you will receive 40% discount for purchase of FluentBooks and Project Migrator package. We've completed development cycle and are very close to complete internal testing cycle for FluentPro Project Migrator software that allows to migrate projects (MPP files) from other EPM systems (Attask, Daptiv, EPM Live - any system that can save to MPP) and from any Project Server 2010 PWA instance (in case of PWA - we support project-level and task-level metadata migration as well) into Project Server 2010 PWA. We are looking for 5 to 10 companies to be a first beta-testing users. In return for the participation in test and feedback, you will receive one license at no cost right after public release (March 2012 at Microsoft Project Conference 2012 ). Product is implemented as add-in for Project Professional 2010. Please send your contacts to beta (at) fluentpro.com with potential problem / task that you have and after review we will send you copy of software installation package and links to several video on how to use the software. We plan to distribute version on March 1, 2012. There will be 2 versions - Lite with some limitations and Pro without any limitations. Product will be distributed independently and as part of FluentBooks Pro package. Recently, we've implemented solution for template distribution to multiple PWA instances. One of our customer had a multiple PWA instances ( really not recommended solution) and as result problem of updating project templates from one centralized location to multiple PWA. They do it every 2 weeks, and problem of updating 20+ PWA with 10 templates each. FluentPro has a product - FluentPro Project Migrator (releasing soon) that supports migration of projects (MPP files with all metadata) between PWAs; And it supports project templates migration as well. All that we had to do it to add ability to support a configuration script that will instruct product how to iterate thought multiple PWAs. It took us only about 1 day to implement this solution with help of existing product and customer was spending 8-10 hours every month for this operation for last 14 month. Recently, we had one project that required ability to create master and insert multiple sub-projects from PWA. Both scenarios require user to have Project Professional installed. User input is captured and "normal" projects are created using PSI based on specific EPTs; Special metadata (set of project level custom fields with XML data) is updated to provide instructions for add-in to build a relationship. Master project automatically opens in Project Professional from PWA; Project Professional has add-in installed that using metadata inserts projects as sub projects, does save and publish for all projects. Biggest problem for Project Pro add-ins that try to automate operations is suppressing the different dialog windows from Project Pro so it is an automated process with minimum or no user interaction required. Not ideal solution (dependency on Project Professional and cost of license) - but worked out for us to solve the problem. If you have similar problem direct your developers to this post so they can follow the "flow" or contact us and we might be able to help you. FluentPro Audit Lite is available for FREE download from our website. Customers, please install Cumulative Updates and Service Packs! Customers - PLEASE install cumulative updates and service packs. You can wait for 3-4 month to make sure that CU is stable but PLEASE install them from time to time. I am happy to announce that this Friday FluentPro will release a free edition of FluentPro Audit Lite product for Microsoft Project Server 2010. All changes are logged to SharePoint List; you can then export to excel, create views and build any type of reports as well as protect the list with permissions if required. Software is absolutely free; although if you need more detailed level of audit, FluentPro Audit Pro will be available for purchase during February 2012. Check out FluentPro Software website - www.fluentpro.com starting next week (Feb 6th, 2012) and get FREE Project Server 2010 audit software. I was playing for a while with permissions for Project Sites and discovered strange way how the project server assign permission if User is a team member. I have a project with 3 resources; All resources are Team members. Resources are assigned to one task. If I go to Project Site -> Site Actions -> site Permissions, I will see that users have permissions and are members of Team members group. After saving, if I go to Project Site -> Site Actions -> Site Permissions, nothing changes. Deny DOES NOT WORK. It looks it is a problem not with Deny but with "User is on that project's Project Team" criteria. I can reproduce it on different CU and after SP1. This video demonstrates how to modify Project Site template, create Project Plan Template and configure EPT to use these templates for creating projects. Note: You might want to install the free edition of our Project Server 2010 Configuration Audit Software - FluentPro Audit Lite. It is absolutely free to use and easy to install. This video demonstrates how to modify project site, save it as Project Site template and configure EPT to use this template to create projects.